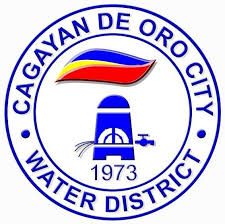 On August 1, 1973, the Cagayan de Oro City Water District (COWD) was formed as the first water district in the country. It was issued the Conditional Certificate Conformance (CCC) No. 001 on January 4, 1974 by the Local Water Utilities Administration (LWUA). COWD was born as a self-reliant, quasi-public entity with the implementation of the Provincial Water Utilities Act of 1973 or PD 198, which created the water districts nationwide. Under the strong leadership of its first and brilliant general manager, Engr. Ernesto B. San Juan, COWD, despite its independence, was able to transform itself from near scratch to an organization clothed in efficiency, competence, credibility and success. COWD started with only 3,500 service connections when it took over the management of the defunct NAWASA or the City Waterworks System in 1973. This was expected from an average water production of only 12,200 cubic meters per day distributed to consumers through transmission lines, only 39 kilometers long. In short, in 44 years COWD has grown around 26 times more in service connections, 10 times more in water production and as much 12 times more in pipeline length. The safe potable water COWD serves to the public comes from twenty-eight (28) wells distributed in the six (6) well fields situated at Macasandig, Balulang, Calaanan, Bugo, Tablon and Agusan. There is one spring source located at Malasag. Production major facilities include threee (3) major Booster Pumping Stations and eight (8) reservoirs. As of June 2017, COWD already has over 92,847 service connections. Its service area is spread over the city and the municipality of Opol.